Expedia can help you save loads with a Padula holiday package. With all that extra money in the bank, you might even like to book a few more nights. Savings of as much as 15%* are available to those travellers who book a package deal on Expedia. Our exhaustive database features more than 400 partner airlines and 321,000 worldwide properties. With such a wide range of options, you really can't go wrong! You may cancel or change almost any hotel reservation and you won't pay any extra fees to us. Almost ready to take off on your Padula holiday? Can't work out what to include in your travel programme? Don't stress — we'll give you a few handy hints. You don't need to dress in robes or even be particularly spiritual to enjoy the peacefulness that comes with spending a bit of time at Certosa di San Lorenzo di Padula. Visitors in this destination have a great range of options. If you're searching for holy experiences, why not heed the advice of Shakespeare's Hamlet and "get thee to a nunnery"? 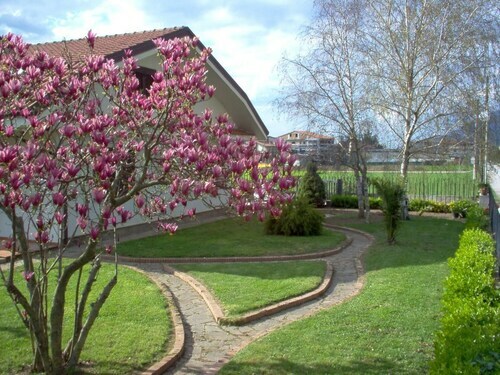 You'll discover a more peaceful and spiritual community behind the doors of Convent of St. Francis. Still have time on your hands? It has been said that knowledge is power. With that in mind, you're sure to feel a little more powerful by the time you're done with Joe Petrosino Museum. Jetting off to Padula? It'd be a good idea to book a room for your cheap holiday or luxury getaway as soon as you can. There are only 3 properties currently available. Start your holiday on a lavish note by slipping between the soft, silky sheets at the Villa Cosilinum (Via G. Garibaldi n. 2). Alternatively, the Ca' del Conte (via Noce del Conte, snc) is a terrific place for the money-conscious traveller to get their shut-eye. The airport is seldom the most exhilarating moment of your getaway, but there's nothing like the excited rush of knowing that your trip to Padula is just a plane trip away! Once you touchdown at Costa d'Amalfi Airport (QSR), you'll be 45 miles (72 km) from the centre of town. Situated in the historical district, this luxury hotel is within a 10-minute walk of Civic Multimedia Museum and Joe Petrosino Museum. Certosa di San Lorenzo di Padula and Convent of St. Francis are also within 1 mi (2 km). 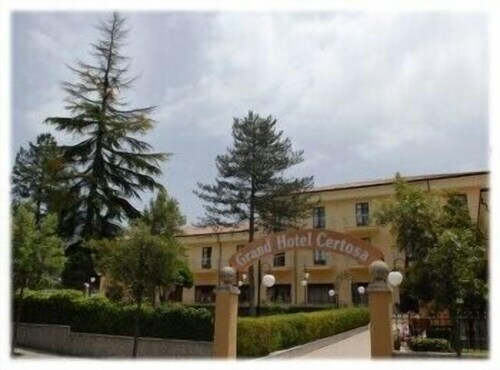 Situated in Padula, this hotel is within a 10-minute walk of Certosa di San Lorenzo di Padula and Convent of St. Francis. Joe Petrosino Museum and Civic Multimedia Museum are also within 1 mile (2 km). 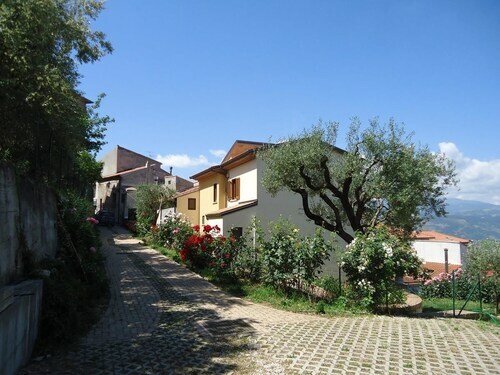 Situated in a national park, this bed & breakfast is within 3 miles (5 km) of Certosa di San Lorenzo di Padula, Convent of St. Francis and Joe Petrosino Museum. Civic Multimedia Museum and Baptistery of San Giovanni in Fonte are also within 3 miles (5 km). 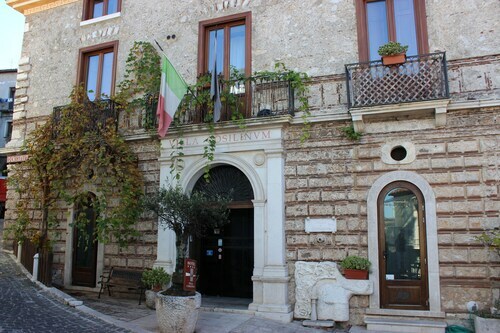 Situated in Padula, this guesthouse is within a 10-minute walk of Civic Multimedia Museum and Joe Petrosino Museum. Certosa di San Lorenzo di Padula and Convent of St. Francis are also within 1 mile (2 km). 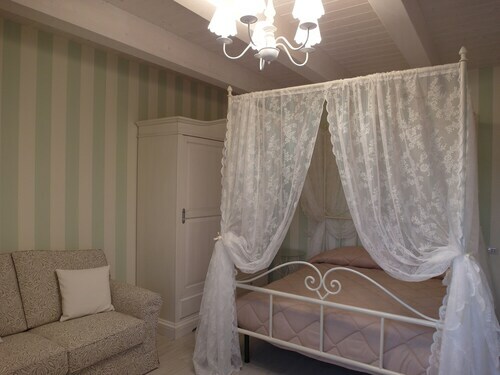 Situated in a national park, this bed & breakfast is within 3 mi (5 km) of Certosa di San Lorenzo di Padula, Convent of St. Francis and Joe Petrosino Museum. Baptistery of San Giovanni in Fonte and Civic Multimedia Museum are also within 3 mi (5 km). 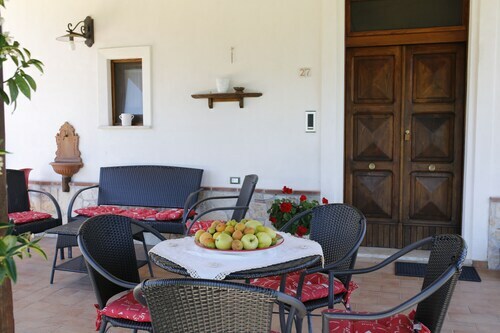 Situated in Padula, this bed & breakfast is within 3 miles (5 km) of Certosa di San Lorenzo di Padula, Convent of St. Francis and Baptistery of San Giovanni in Fonte. Joe Petrosino Museum and Civic Multimedia Museum are also within 3 miles (5 km). 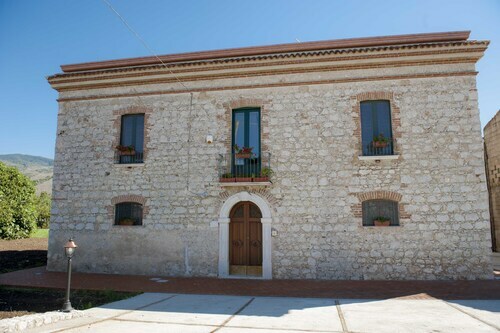 Situated in Padula, this guesthouse is 1 mi (1.6 km) from Baptistery of San Giovanni in Fonte and within 3 miles (5 km) of Certosa di San Lorenzo di Padula and Convent of St. Francis. Joe Petrosino Museum and Civic Multimedia Museum are also within 3 miles (5 km). 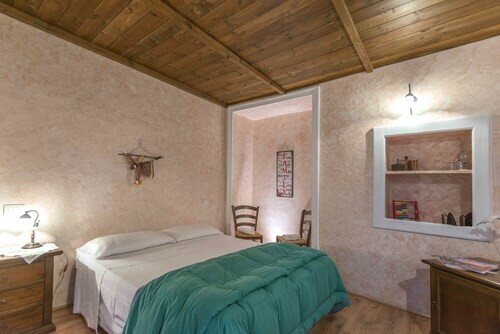 Situated in Padula, this bed & breakfast is within a 15-minute walk of Civic Multimedia Museum and Joe Petrosino Museum. Certosa di San Lorenzo di Padula and Convent of St. Francis are also within 2 miles (3 km).